An Inhabitant of the Isle of Symi (Sömbeki). An Inhabitant of the Isle of Symi. 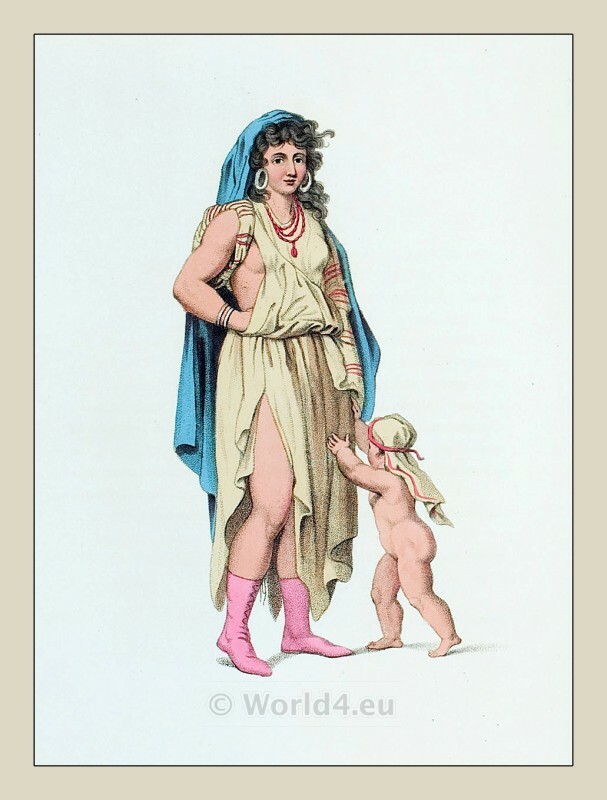 This entry was posted in 1804, 19th Century, Ancient Greece, Ottoman Empire, Turkey Costumes and tagged Greece national costumes, Octavian Dalvimart, The costume of Turkey, Traditional Turkey Costumes on 11/30/13 by world4. 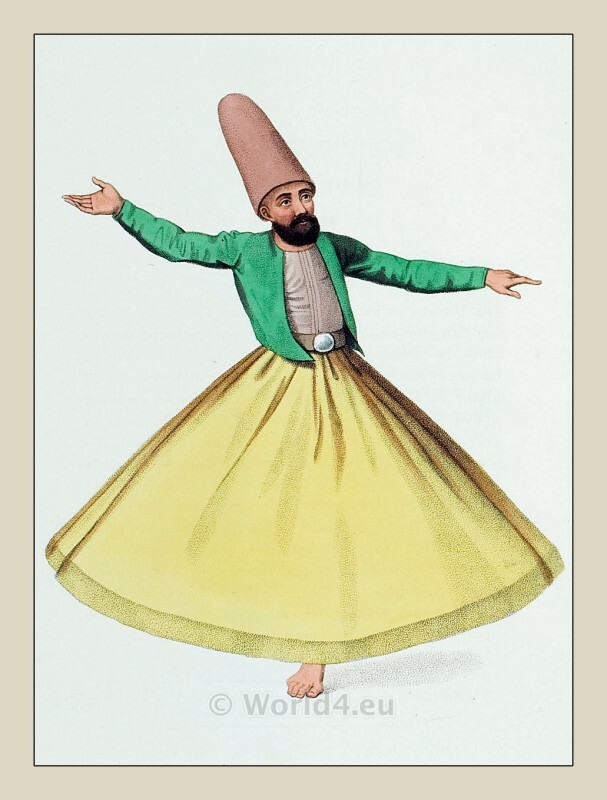 A dervish of Syria. Ottoman empire. 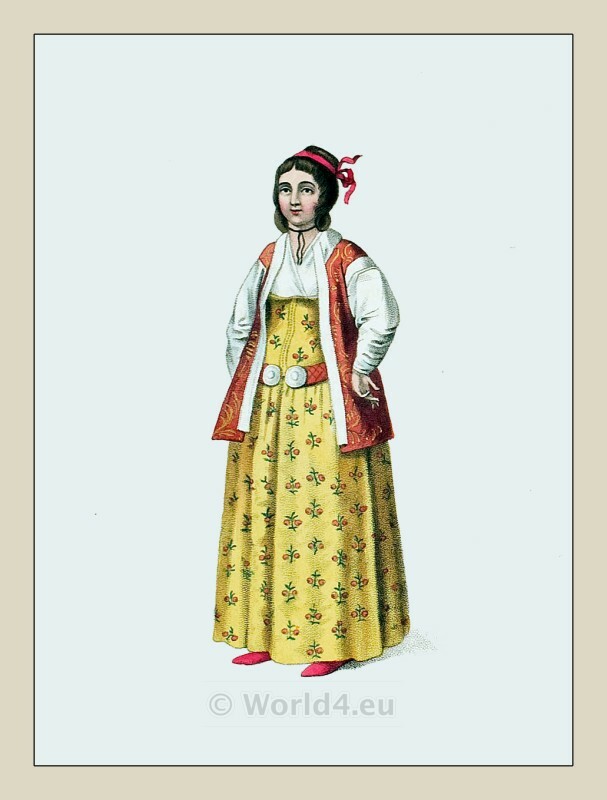 This entry was posted in 19th Century, Ecclesiastical, Middle East, Ottoman Empire, Syria, Turkey Costumes and tagged Ecclesiastical Dress, Octavian Dalvimart, The costume of Turkey on 11/9/13 by world4. A female bedouin of the dessert, with her child. 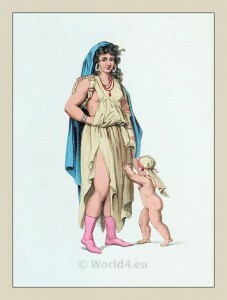 A female bedouin of the dessert, with her child. Ottoman Empire. This entry was posted in 1804, 19th Century, Arabia, Child, Middle East, Ottoman Empire, Turkey Costumes and tagged Octavian Dalvimart, The costume of Turkey, Traditional Arabian costumes on 9/14/13 by world4. 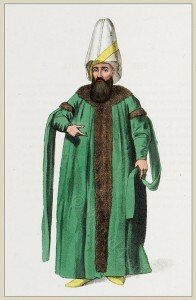 A Turkish musician at the Sultans court. Ottoman Empire. 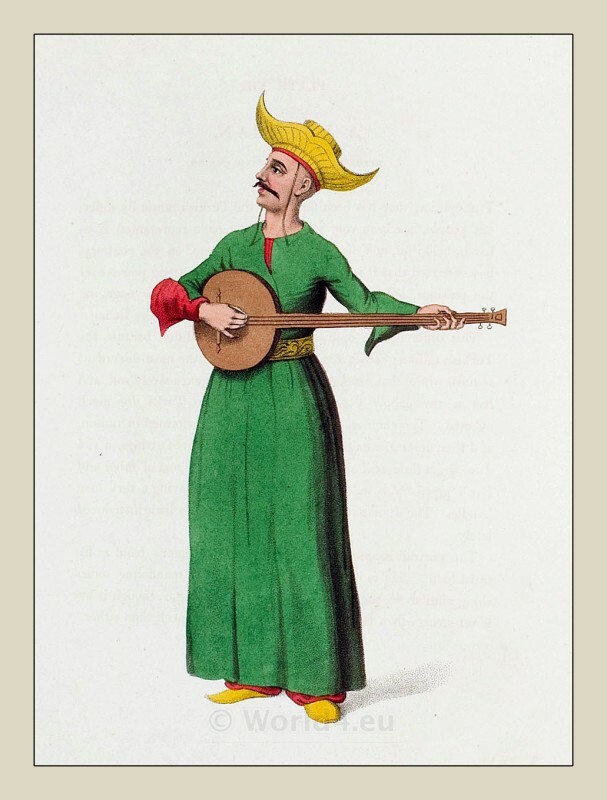 This entry was posted in 1804, 19th Century, Ottoman Empire, Turkey Costumes and tagged Musicians, Octavian Dalvimart, Ottoman Empire costumes, The costume of Turkey on 9/14/13 by world4. The Capitan Pasha, Derya Bey. Admiral of the Turkish Navy. The Capitan Pasha, Kapudan Paşa, admiral of the Turkish Navy. The Capitan Pasha “Captain of the Sea”. 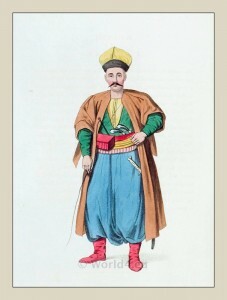 Admiral of the Ottoman Empire navy. This entry was posted in 1804, 19th Century, Military, Ottoman Empire, Turkey Costumes and tagged Octavian Dalvimart, Ottoman Empire costumes, The costume of Turkey on 7/30/13 by world4. 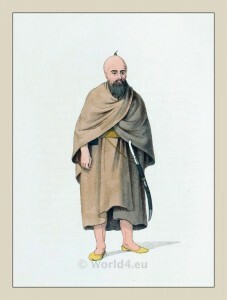 A Tatar. Ottoman Empire 1800. 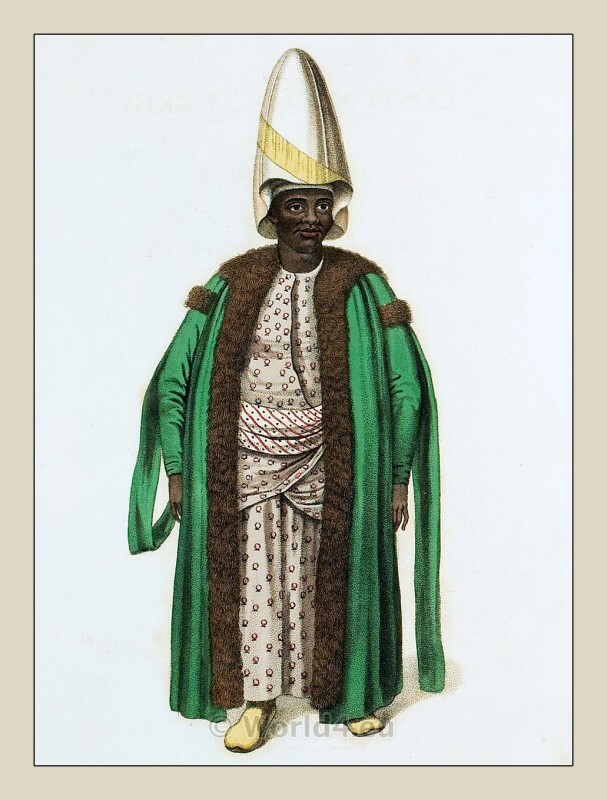 This entry was posted in 1804, 19th Century, Asia, Ottoman Empire, Tatars, Turkey Costumes and tagged Octavian Dalvimart, Ottoman Empire costumes, Tatar national costumes, The costume of Turkey on 7/30/13 by world4. Whirling Dervishes. A Mevlevi Tariqa Dervish. A Mevlevi Tariqa Dervish. Whirling Dervishes. 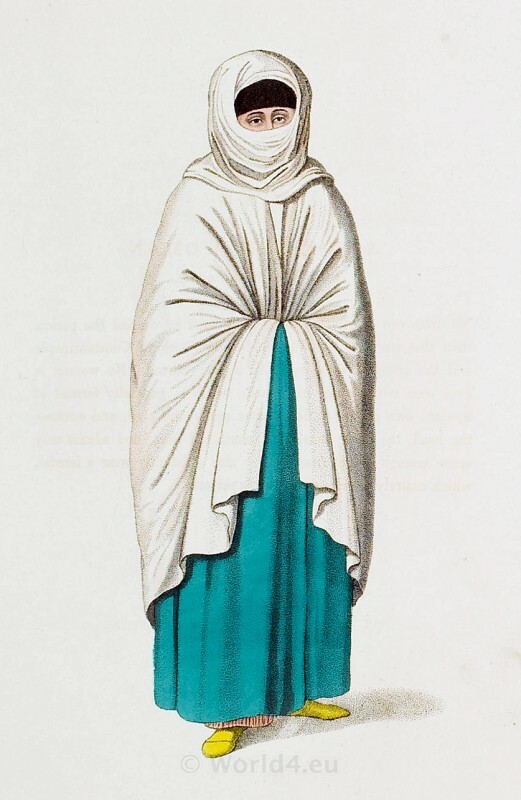 This entry was posted in 1804, 19th Century, Ecclesiastical, Ottoman Empire, Turkey Costumes and tagged Ecclesiastical Dress, Octavian Dalvimart, The costume of Turkey on 7/30/13 by world4. 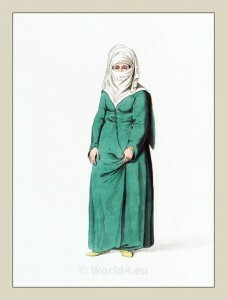 A Turkish woman in the dress worn at Constantinople. 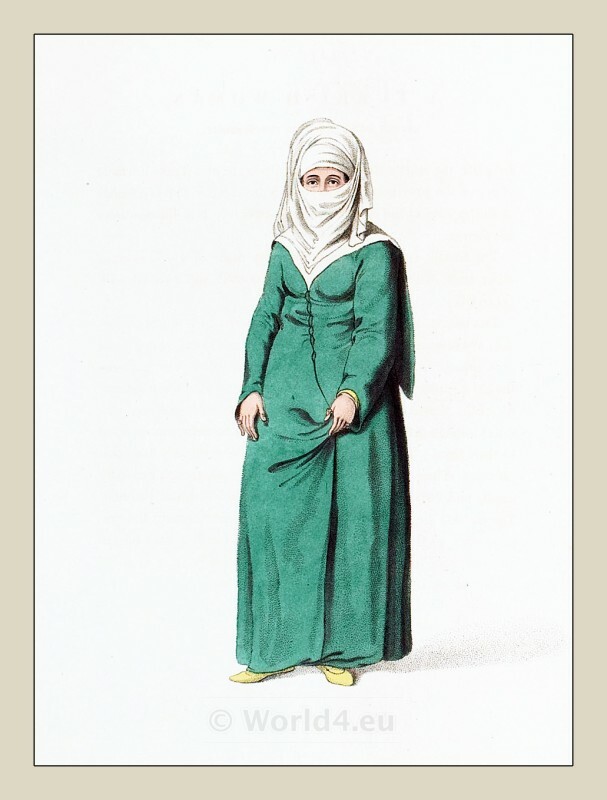 A Turkish woman at Constantinople. This entry was posted in 1804, 19th Century, Ottoman Empire, Turkey Costumes and tagged Octavian Dalvimart, Ottoman Empire costumes, The costume of Turkey on 7/30/13 by world4. 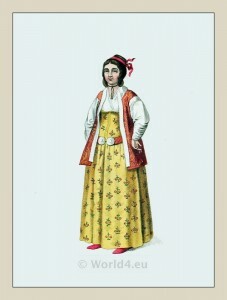 A Turkish woman in a provincial dress. Ottoman Empire 1800. 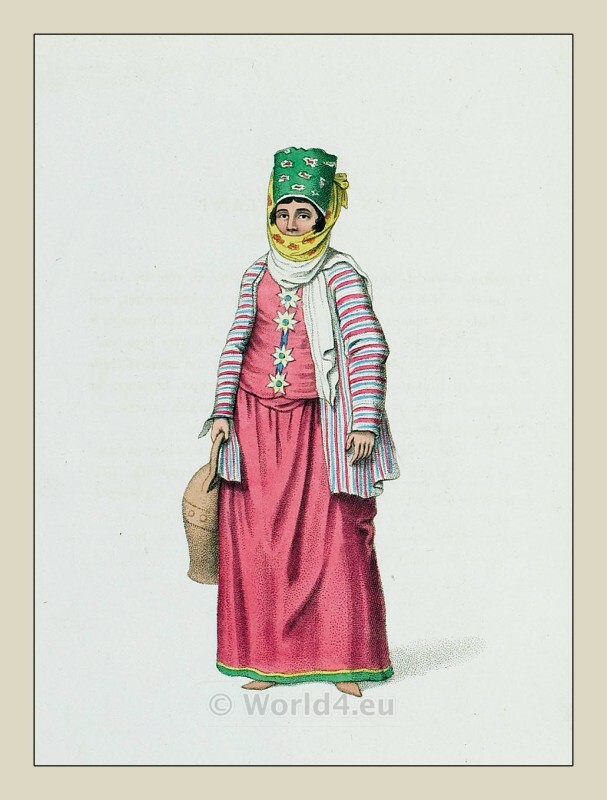 A Turkish woman in a provincial dress. A Turkish female of Pera.